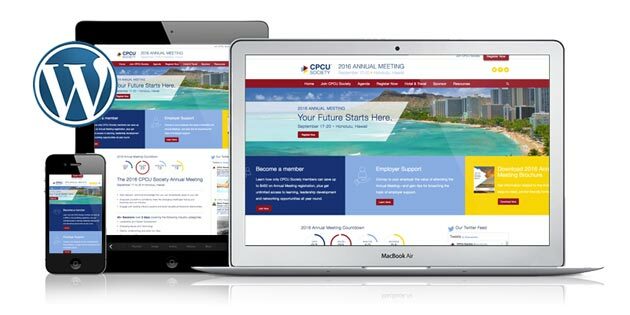 For the CPCU Society, I designed and developed this website for their upcoming 2016 annual meeting. First of all I met with the marketing team to start this project to then determine their project requirements. They wanted a modern responsive website, but also highlighted the day-to-day schedule and speakers. Finally, it was important to easily show the attendees their hotel options in relation to the convention center and surrounding tourist attractions. Therefore, a WordPress website with a responsive theme/child theme was the perfect choice for their 2016 annual meeting website!